Huge congratulations on the release of your new web series, ‘Disposable Teens’. 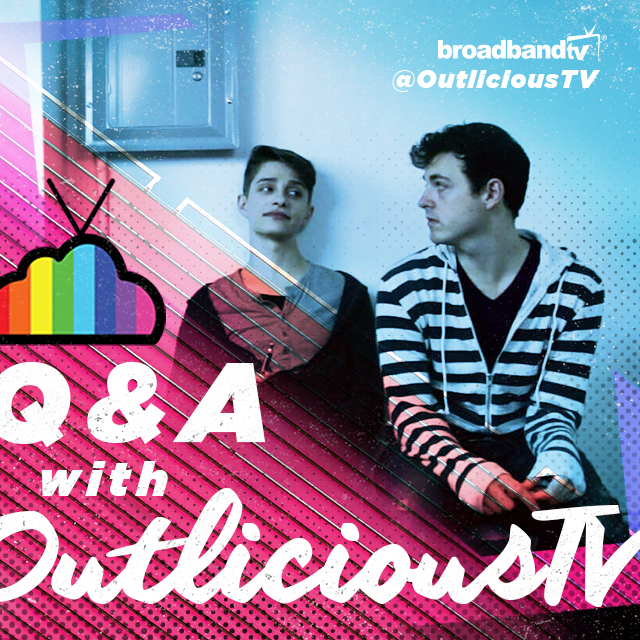 Can you tell us a bit about OutliciousTV and your latest project dealing with LGBTQ youth? Our latest project Disposable Teens is about a gay teenager (Austin) who runs away from home after his parents find out he is gay and are not really accepting. He looks for help in conventional places but after being turned away, he falls into the hands of someone who comes off like he’s willing to help but only uses him. Austin could be aware of this but he considers the relationship mutually beneficial until his world is turned upside with a reunion in Episode 4 (coming Feb 1st). What made you decide that YouTube was the best platform to reach your audience? After moving out of LA, I realized I had all of these videos that were no longer online or they were on my personal YouTube page and I wanted to provide a presence under OutliciousTV name. So I started posting all of them on YouTube and was invited to monazite my content. The response was fantastic and I realized that some of the videos were bringing in more that what they cost to make. I realized the only thing left to do is start making videos again to keep building an audience and increase revenue. Where did the idea for ‘Disposable Teens’ come from? There is a video online where I talk briefly about my story of running away from home after coming out of the closet. I’ve told several friends the story over the years and many said I should write something about it. While Disposable Teens is not my exact story, it is a fictionalization of some things that happened to me or I had witnessed happening to others after leaving home. Where can LGBTQ youths go if they are having trouble at home? Do you have some resources they should read? First and foremost, LGBTQ Youth should know about the Trevor Project. It’s a nationwide organization of LGBTQ Youth who may be contemplating self harm or just feeling down. 866-488-7386 or trevorproject.org They also have links to international organizations that can help youth outside of the United States. They can also look for their local LGBTQ organization which provide a multitude of services to support youth who are having trouble at home. And if they run into a dead end like Austin in episode two, don’t give up. When I was sixteen, I called the state with questions and the social worker on the phone said, “You’re sixteen, you’re legally able to live on your own. So if you don’t like it, move out.” Not a real encouraging or supportive response and that’s the reality sometimes. ‘Disposable Teens’ is not the only web series you’ve created. Do you have a favourite video? Why? Yes, we’ve created several web series over the years. It’s hard to pick just one. But, my favorite OutliciousTV video is Last Dance. I have a background in dance and choreography and try look for ways of marrying dance and film together. It was my first project I shot in NYC and the results and feedback have been fantastic. We were even featured on the Huffington Post Arts page. I really want to make another similar dance on film project soon. SUBSCRIBE! We have lots of ideas floating around and will continue making entertaining LGBTQ content. Stay tuned! What can we expect next after ‘Disposable Teens’? Any plans for another full length film? More web series (a comedy and drama are in development) and possible a dance and musical short. The resources provided by BroadbandTV have been phenomenal and also inspiring. We may even add an episode or two of Disposable Teens and Flying High with Charlie later on this year. As far as another full length film, that is probably not on the horizon for now. Making Fishnet was fun but from a business perspective, we do much better with web series and short content as it allows us the opportunity to be flexible and adapt to what is working much faster than spending months developing and producing a feature.